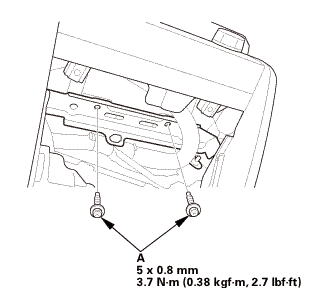 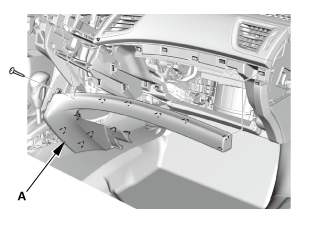 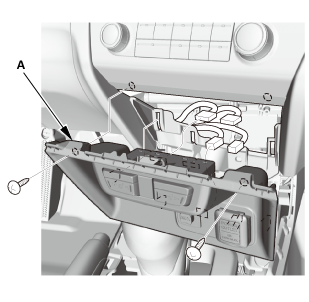 Eject the discs before removing the audio-navigation unit to prevent damaging the CD/DVD player's load mechanism. 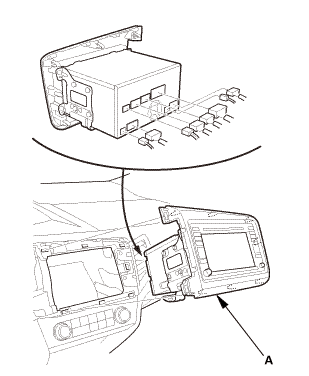 Disconnect the connectors, then pull out the audio-navigation unit (A). 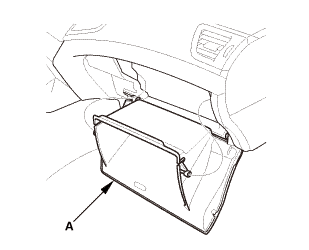 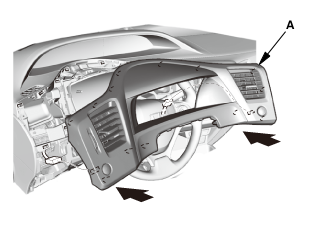 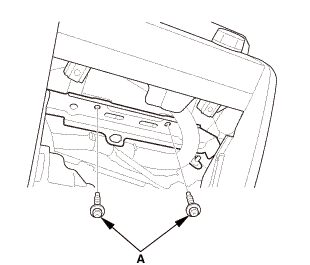 Eject the disc before disconnecting the audio-navigation unit to prevent damaging the CD player's load mechanism. 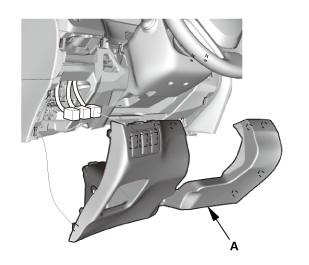 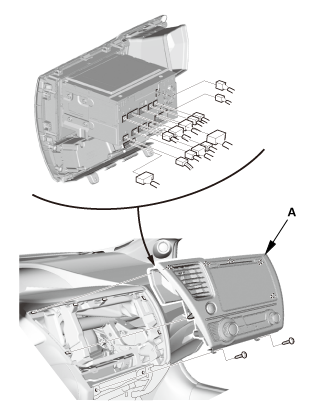 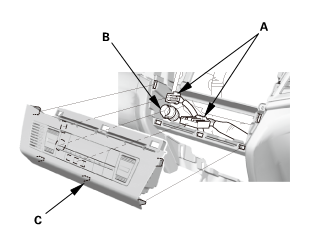 Connect the connectors, then install the audio-navigation unit assembly (A).